"This feels more like an analogue delay, the signal 'degrades' into a wonderful spacey mush when you turn the repeat knob up high. 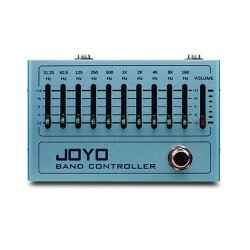 Plug it into the flanger and you'll have hours of fun! " Matt our UK product guru. 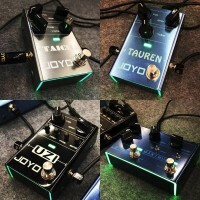 JOYO JF-08 Effect Pedal Digital Delay is made with the pt2399 IC that uses filters to make the delayed signals that have the same response as an old Bucket Brigade Delay that we know and love from Ibanez and Boss. 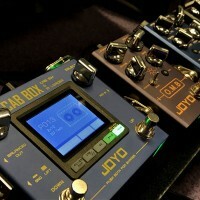 But now you get that analog sound, improved with up to 600ms of delay time and True Bypass. Combining this digitally emulated analogue delay with any overdrive or distortion puts you in solo heaven and will make your solo's sound huge and epic. Combine it with intricately picked passages in a song and some lighter settings for some fancy chord work and you'll be off on another creative path you wouldn't have had without it. 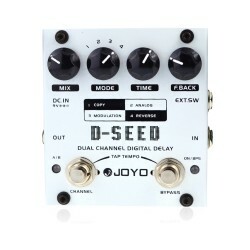 Whether you use it sparingly or constantly you'll love this delay. 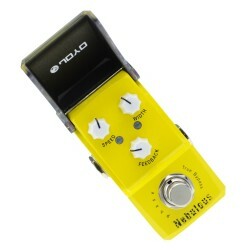 A delay pedal with controls for adjusting delay time, delay repeats and the delay level. 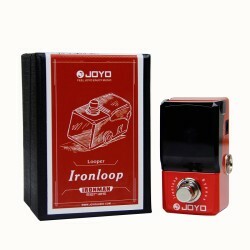 A well-made filter circuit very close to the sound of analog delay but with more control at your fingertips. A well-made Filter Circuit makes it very similar to the sound of an Analog Delay. 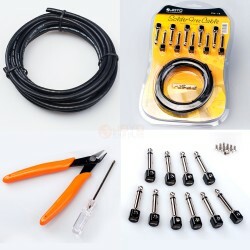 True bypass design to minimize tone loss.